Now normally I tend to be rather chatty when I post for my beloved blog hops however this time I am going to let the pictures do the talking. My only excuse is that today was a very busy day and I am getting this post up way past my bedtime. Be sure to check out all the other blogs that took part in this hop. Just click here to be taken to a list of the participants and a contest even awaits there. Summer Color Surprise Blog Hop Reveal and Giveaway! Beautiful pieces Shaiha! Love the designs and colors! Sometimes words are not needed. These are SOOO summery and fresh, Shai... love them! Yes!!!! I love blue and your designs rock. you were busy! I love your designs - but the final pair of earrings are especially well done. Blue what a calming color! But you were hot there!!!! 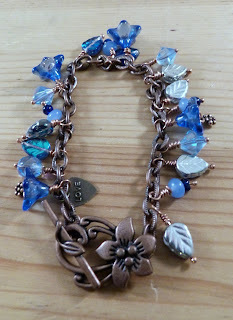 Doing all those pieces....though I really love your bracelet! Great job. Great job, Shaiha! I love all of your pieces. The bracelets are my favorite, esp. the first one with the pretty bells. 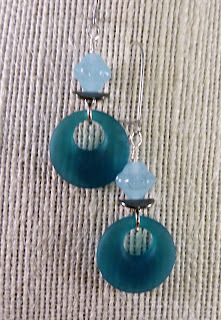 The little leaves look great on the dangle earrings. Thanks for being in the hop! Beautiful work :) Hard to pick a fave! Such fantastically floral fun! I think the one with the Czech glass flowers is my favorite. I am always a sucker for those beads! Lovely creations! The colors are perfect for summer. Love the blues! Great job! 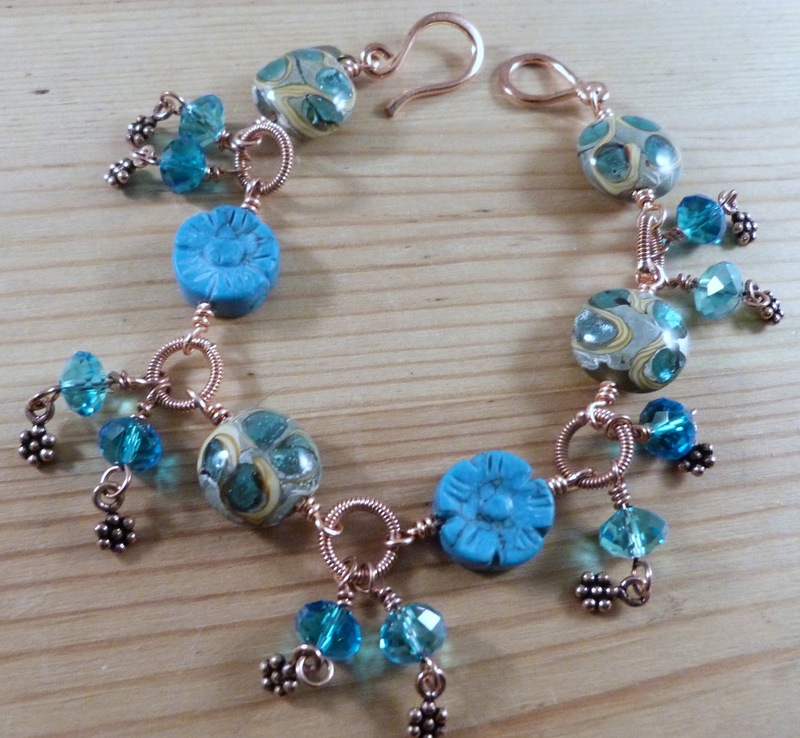 Love the pretty blue creations, each one is really gorgeous. OMG! Shaiha, everything is simply amazing and beautiful. 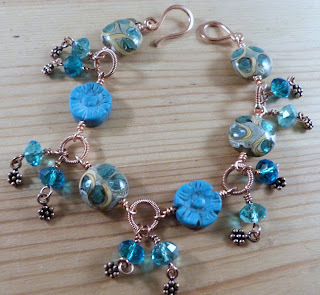 The gemstone flower beads are from me :) I gave them to Lisa in a bead swap, and how beautiful they are in your bracelet with lampwork! 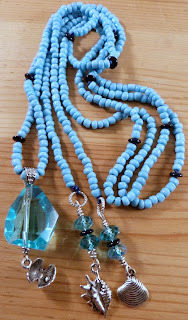 Love how you added crystal rondelles and pretty spacers as drops in the rings of that bracelet too -- very fine design! 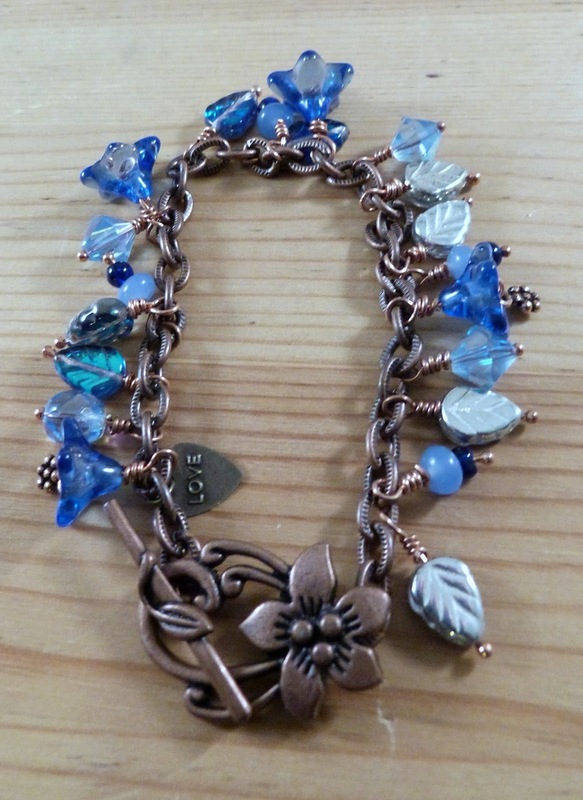 Your bellflower and leaf bracelet is stunning, simply stunning! 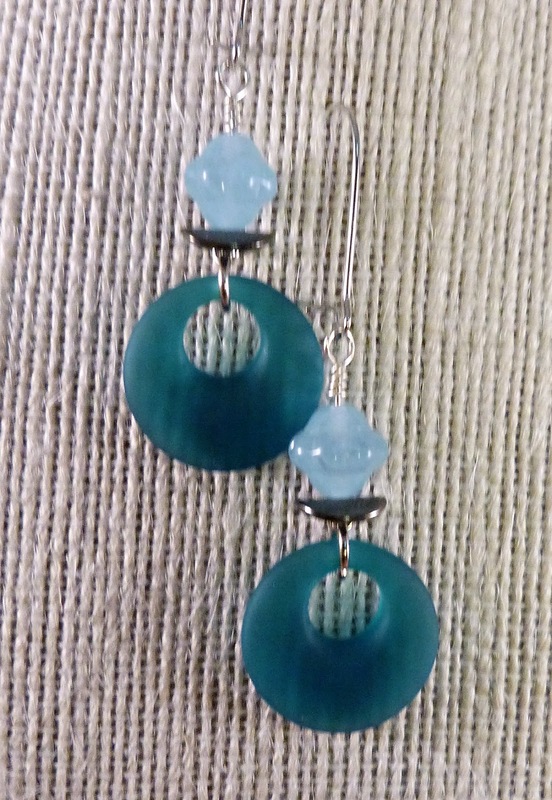 And your cascading earrings are enchanting. I love the cool mod earrings too! 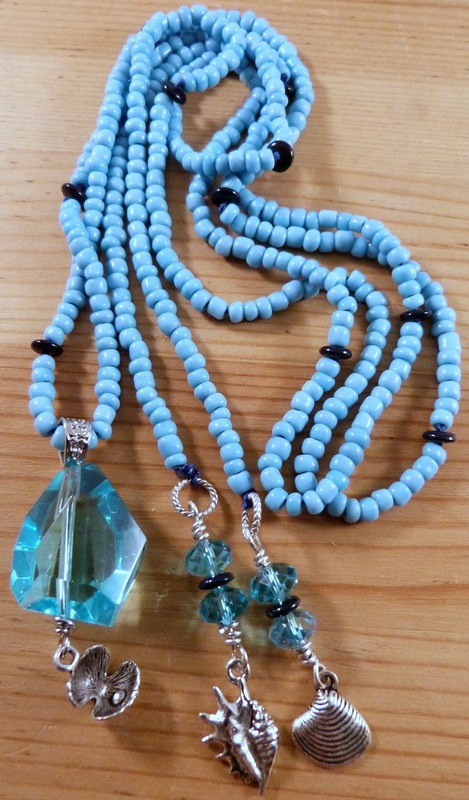 The crystal focal and seed bead and silver lariat is incredible. Wow!! It's all so beautiful, so finely made, so detailed and sophisticated. I'm loving everything you made and so impressed! You rock!